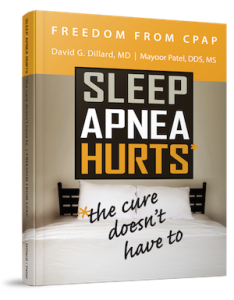 I recently read an article in the magazine Sleep Review and it was very interesting. In this article, it stated that breathing through your nose may actually improve memory. That really is great to hear and understand. This is based on a study published in The Journal of Neuroscience. In this study, researchers examined the effect of respiration on consolidation of episodic odor memory. Both female and male participants encoded odors. This was followed by a one hour awake resting consolidation phase where they either breathed solely through their nose or mouth. Immediately after this phase, memory for odors was tested. Recognition memory saw a significant increase during nasal respiration compared with mouth respiration. From this we see the first evidence that respiration directly impacts consolidation of episodic events. It also supports the idea that core cognitive functions are modulated by the respiratory cycle–adding to the influence of respiration on human perception and cognition. While the study did not look at brain activity, it did suggest that nose breathing may facilitate communication between sensory and memory networks. This is because memories are replayed and strengthened during consolidation. Encourage your patients to take deep breaths through their nose to help improve their memory. This can also help their stress levels. It is an all around good idea for their health and well-being.